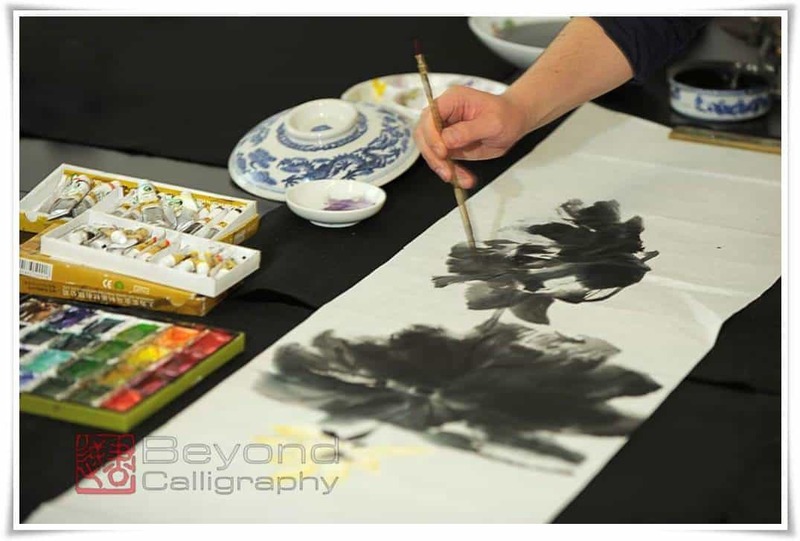 There are branches of the International Chinese Calligraphy and Ink Painting Society (ICCPS) in eight major cities around the world. I was fortunate enough to be invited to enter the studio of ICCPS founder Master Ransui Yakata, who is the recipient of numerous awards at public exhibitions, including in ink painting (sumi-e). 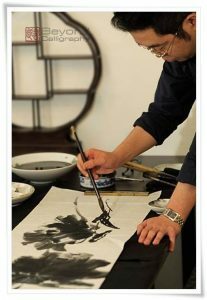 Master Ransui Yakata currently teaches classes in the fashionable Tokyo districts Omotesandou, Ebisu, and Roppongi, passionately instructing students in calligraphy and sumi-e each day. 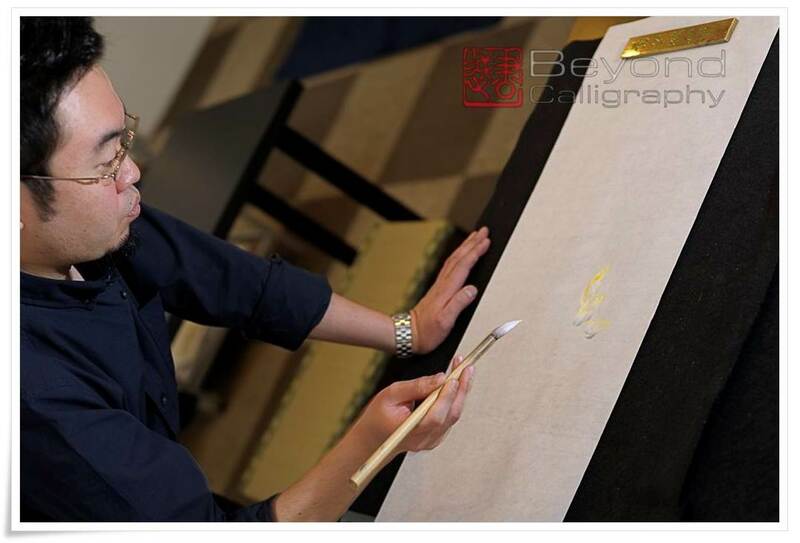 Master Yakata began to learn calligraphy when he was in his first year of elementary school. 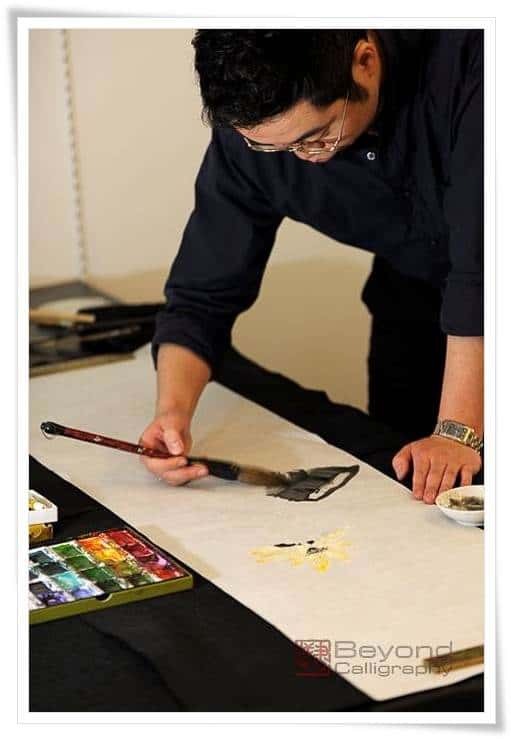 In his hometown of Kouchi Prefecture, the director of the neighborhood Great Japan Calligraphy Institute (Dai Nihon Shoei’in) taught him to paint from elementary school until he entered university. 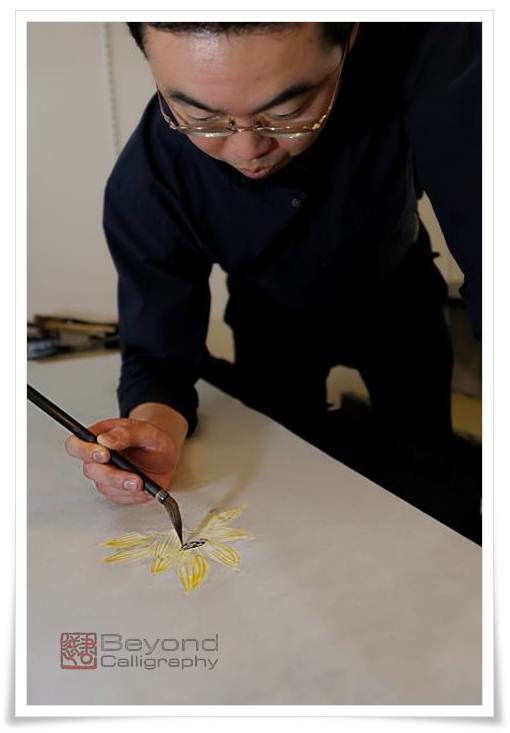 Under the guidance of Master Hashimoto Kousui, Master Yakata began to learn sumi-e in high school. Although Master Hashimoto sadly passed away a mere two years later, the rich period under his tutelage can be seen in Master Yakata’s ink painting even today. After graduating from college, Master Yakata spent a year under contract as a resident artist in London, after which he moved to France. During his residency, he held one-person exhibits which drew crowds of fascinated onlookers. During this period he was recognized as a well-qualified artist, and became an invited artist of the London Chinese Painting Society. At this point he returned to Japan and spent ten years living the life of a company employee in Tokyo. After that, he realized that “True enough, my path is in ink painting and calligraphy,” and he started a calligraphy class in Omotesandou. Although he started with a small class in the beginning, after the third month his pupils increased rapidly, and now he guides and nurtures an exceedingly large number of prize-winning students. Technique is foremost in Master Yakata’s incredible teaching space. However, he is also deeply committed to the ideals of “human exchange.” He takes great care of his pupils and makes a point to sensitively consider their needs and respond appropriately. 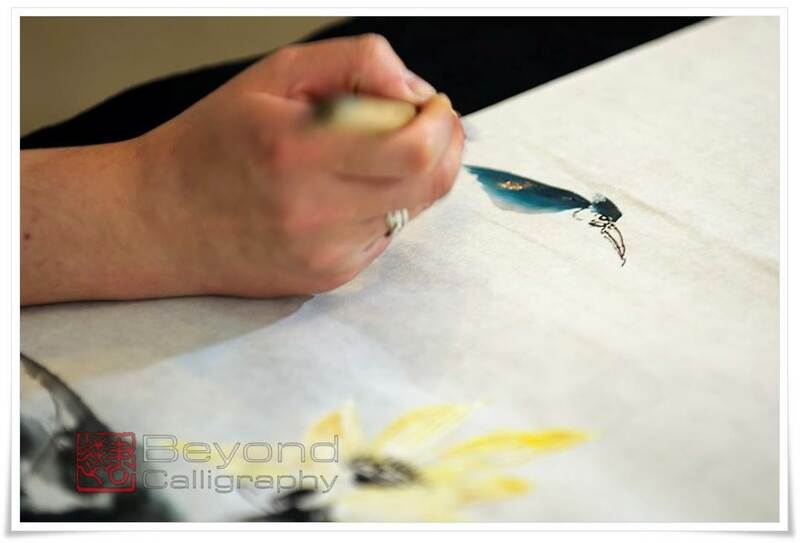 As a mentor, Master Yakata likes to say that he aims to be “the kind of Master that allows one’s interior to come out from the hand.” Ink painting and calligraphy are both things in which a person’s lived history and true character can be expressed. Master Yakata holds many splendid titles. 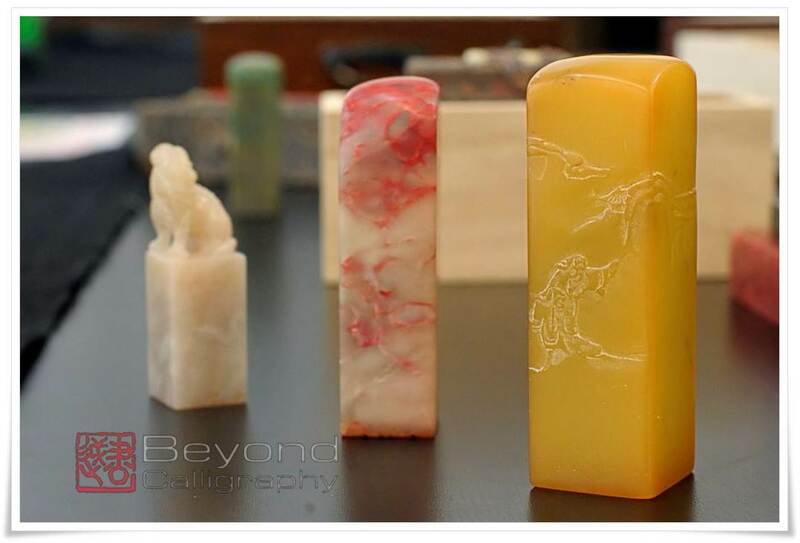 Among them, he is a member of the Anshan Rare Stone Seal Society in Liaoning province, China. Such an association is rare in Japan. I ask Master Yakata to explain in more detail the aim of the Rare Stone Seal Society. “It’s a place where you can find rare ink seal stocks,” he tells me. 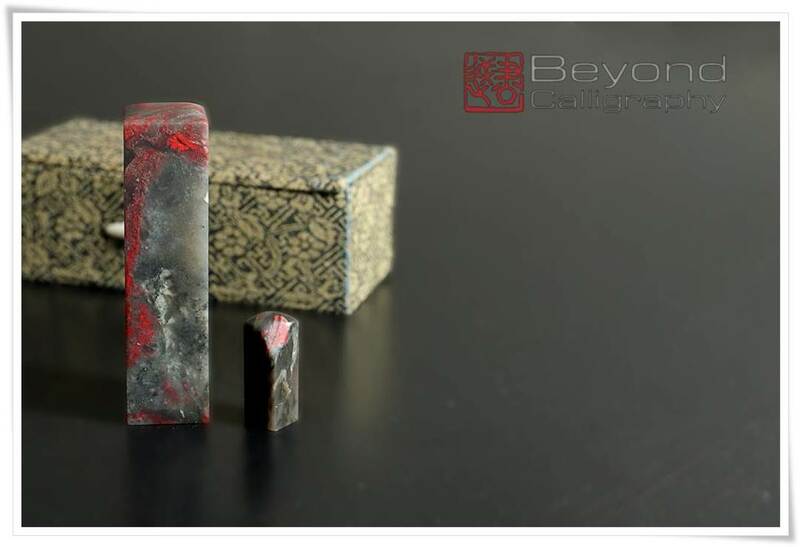 For example, while he was traveling in China he came across a magnificent stone, and without hesitation he bought it and returned home. There, in that beautiful stone, he told me that he saw something like the cosmos. (Figure 6). Master Yakata was greatly pleased and bought this stone, which he handled with great care. To buy a favorite stone and handle it with care allows one to write truly excellent characters, he tells me. In the photograph above: Denouseki, Keiketsuseki, Fuyouseki. (Figure 7). 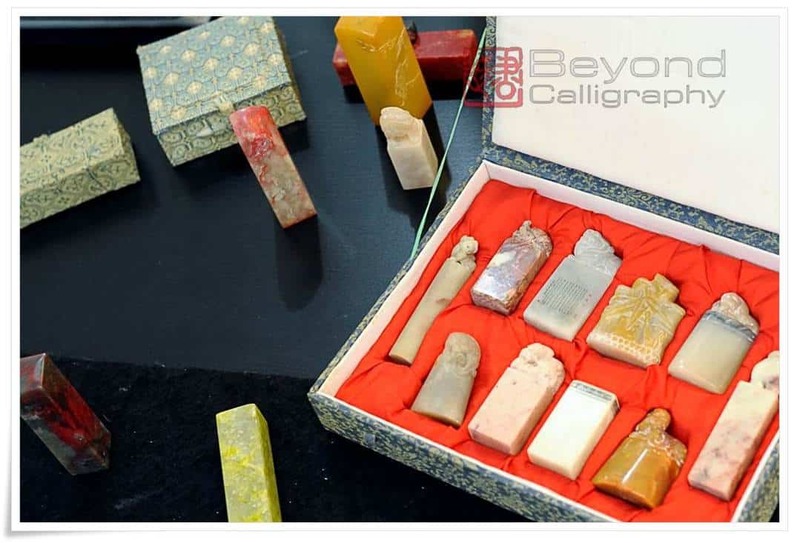 Master Ransui Yakata was gracious enough to allow me to see the rest of his stones as well, including a Canton power stone, a Mongol crystal, jade, and various others. 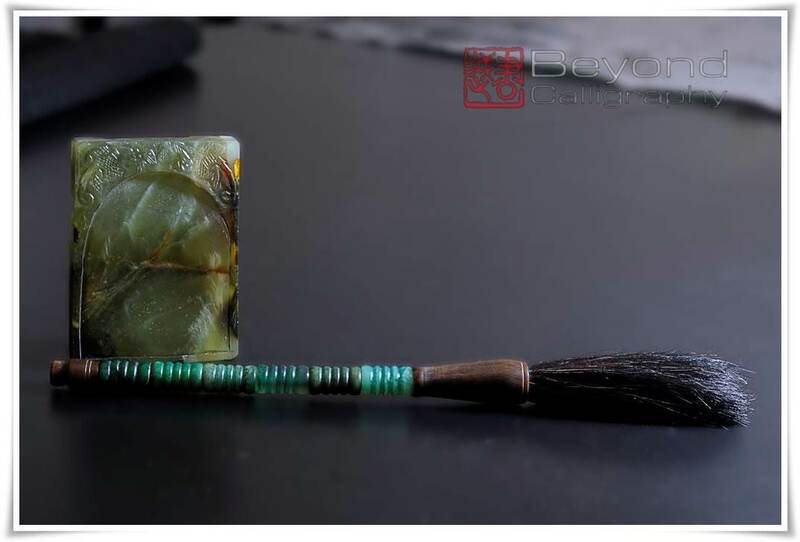 Jade is said to have powerful mental effect properties, such as acting to calm the mind and adjust one’s heart waves. Master Ransui Yakata also collects calligraphy brushes. 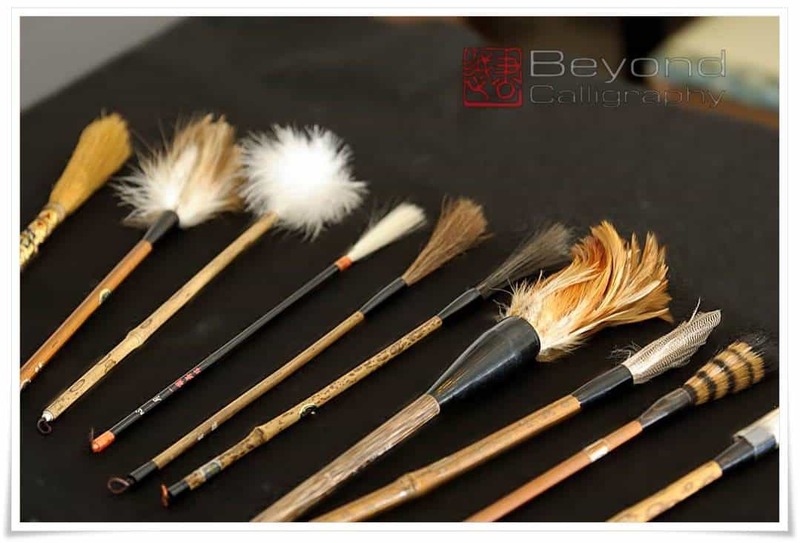 He showed me several unusual brushes he owns made out of straw, swan, rabbit, the hair of the Iriomote mountain cat, and many others. Finally, Master Yakata offers me a demonstration. First, he proceeds to carefully mix the colors. 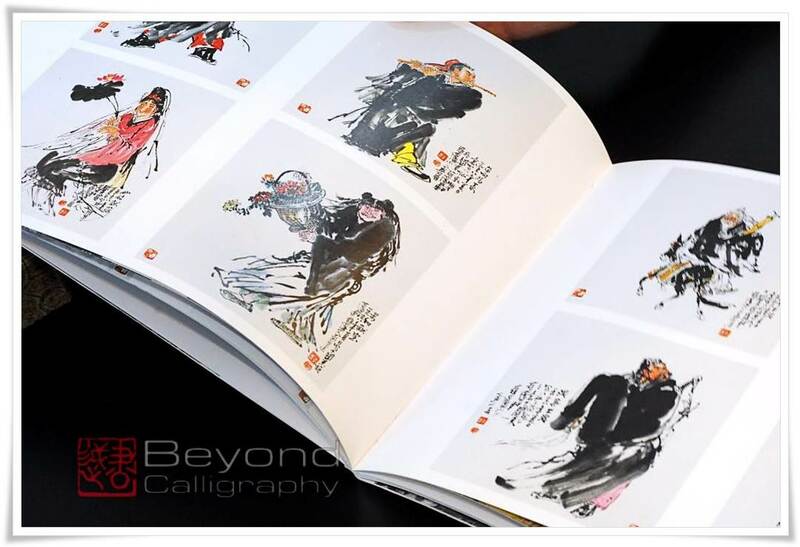 He boldly draws these one by one. “One must never hesitate,” he tells me. (Figure 17). The whole body of the flower begins to come into view. (Figure 18). In sumi-e the line is also life. Although it’s the case that one can’t help but draw lines in both good and bad compositions, drawing a beautiful line is very important. Master Ransui Yakata was commuting to calligraphy school from the age of seven and by the time he was in high school he was meeting regularly with an ink painting master. After that, he became an instructor. 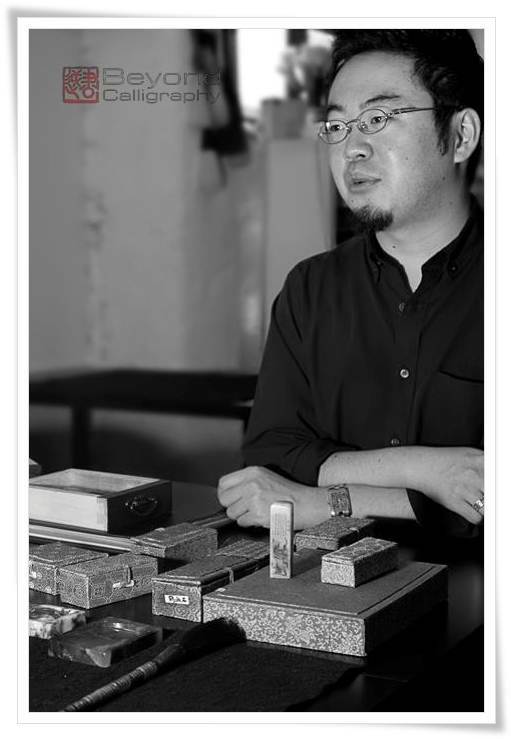 He established a resident foreigner and calligraphy exchange program, and conducts calligraphy culture referrals. 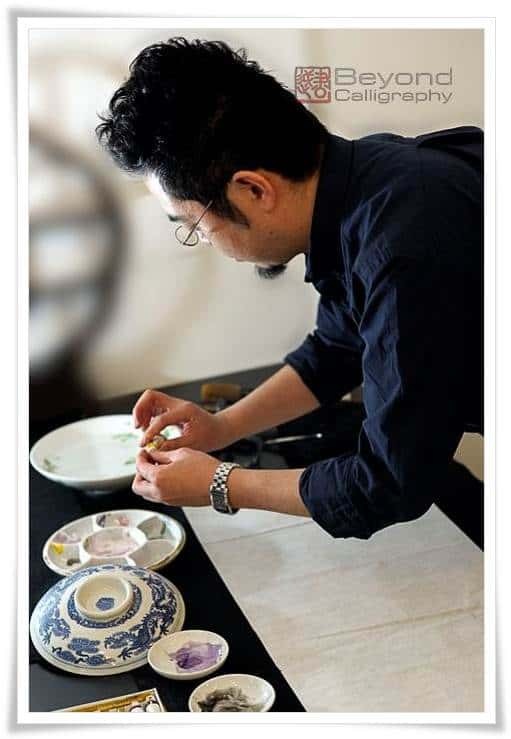 He represents Japan as a friendship ambassador for the government of British Columbia in Canada, and in Vancouver he provides ink painting guidance as a civilian ambassador. He has won many public calligraphy exhibitions, both inside and outside Japan. He has also held one-man exhibition tours in London and Paris, in addition to tours within Japan. 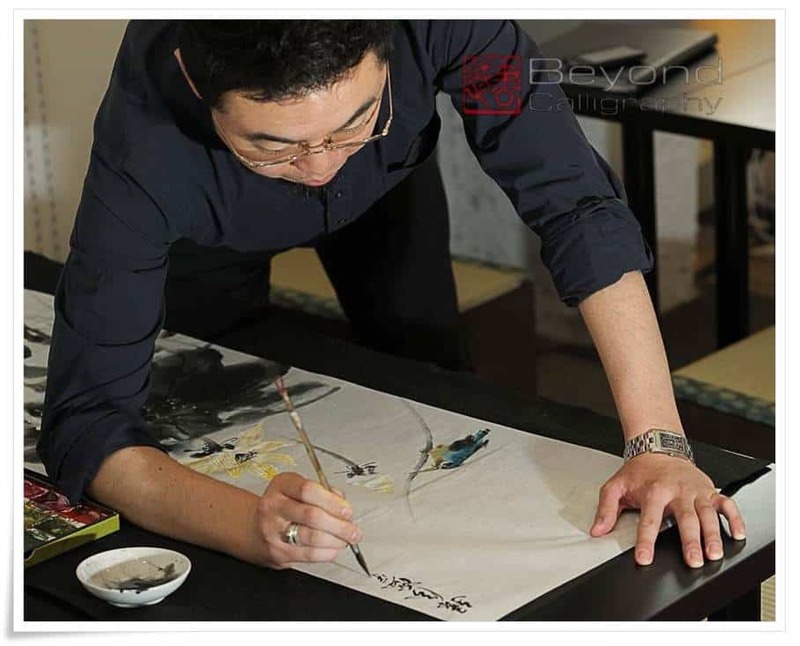 He is passion in his love for calligraphy culture, and aims day and night to foster a teaching environment in which both teacher and pupil are not bound to the classroom. He is the president and founder of the International Chinese Calligraphy and Ink Painting Society (ICCPS). Japanese can be found here. Steven Anderson works as a clinical research coordinator at a health technology company in New York City. 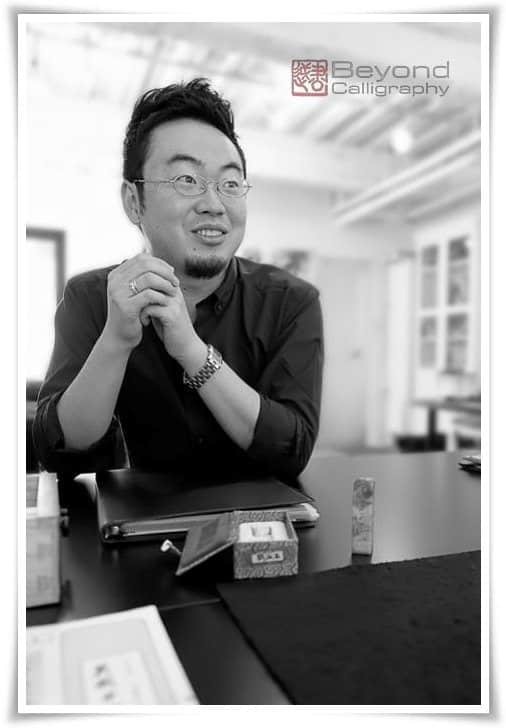 He is interested in clinical psychology and mental health issues in Japan, as well as Japanese culture and art. Excellent article Dave. 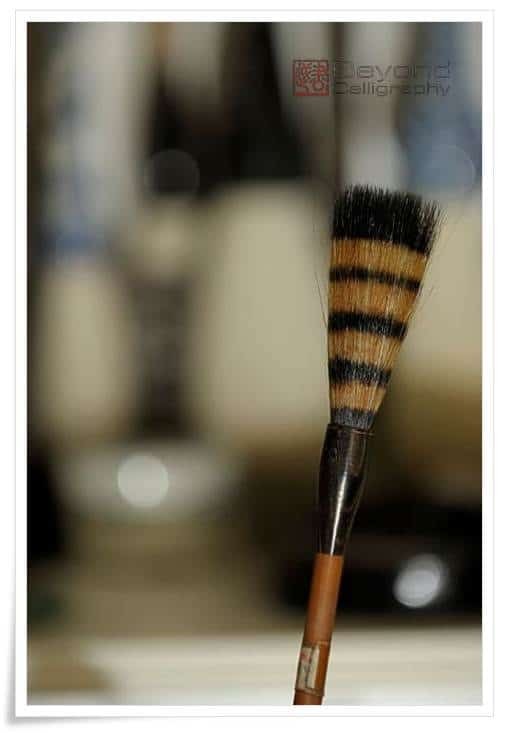 I greatly enjoyed and observing the works, especially the unusual brushes. Great article which I read with admiration. Thank you Dave and Ransui Yakata san! I am glad you both enjoyed the article, but the people you should be thanking for it is Steve Anderson and Sakiko Yanagisawa. I missed a bit of code which cause the Author Box not to update correctly. I ave fixed it now and I am sorry for the confusion.